Nepal Cricket Team have achieved many memorable milestones this year. Starting from ODI status to first ODI win, they have many things to cheer about. Youngsters are gradually coming up and continuously proving themselves. Youngsters are gems of any sports. So Nepal Cricket Team’s gems are also their youngsters. 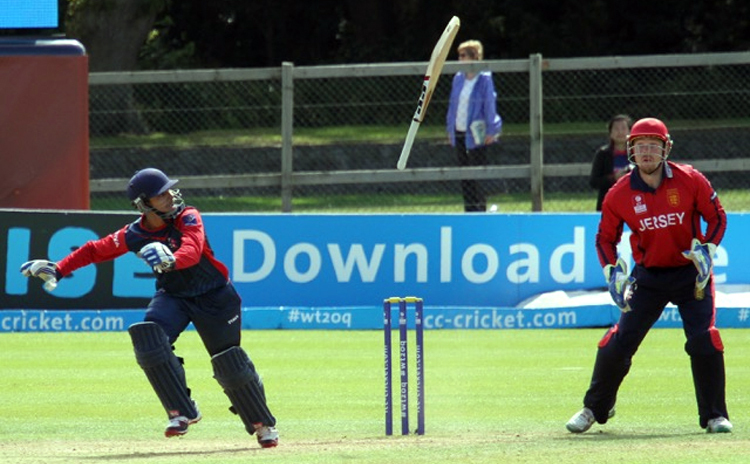 Young players came up and shone in the occasion to claim success for Nepal. Nepal was most youngest side of ICC World Cup Qualifier 2018. Slowly, Dipendra Singh Airee, Aarif Sheikh and Rohit Kumar Paudel are turning out as Nepal’s savior in batting department. Sompal Kami is undoubtedly Nepal’s pace bowling spearhead and he always add some handy runs, batting down the order. Sandeep Lamichhane is already emerging rock star of world cricket. Nepal’s youngsters have shown lot of potential and some of them have already proved it. Despite of not getting proper exposure in glass level cricket, they backed themselves and hinted their potentiality in national level tournament. But still their potentiality is yet to get respect from management and those concerned with the selections of the team. Sunil Dhamala is the missing element that would surely do wonders if given an opportunity. Below I will be listing some of unfortunate youngster of Nepali Cricket. 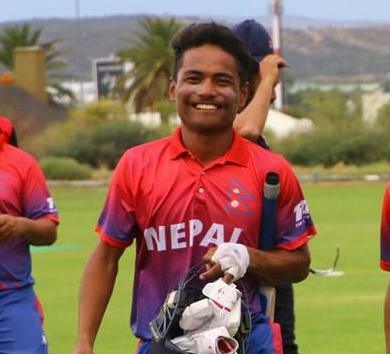 Courageous young batsman, who was inspired to play cricket after Nepal’s glory of World Twenty20 2014, placed himself in Nepal Cricket Team with his bold innings. He was playing good cricket in age level cricket but he became fans’ favorite, when he played two match winning cameos in last edition of Everest Premier League, both against Lalitpur Patriots. He was named in Nepal cricket team squad for ICC World Cricket League and he was second highest run getter for Nepal, after Paras Khadka. He scored 140 runs in 6 innings with an average of 28, batting at no.7. His role was to finish the matches but he never get such platform. Only once in six innings, he came out to bat after 40 overs. He always batted under pressure in his first ever outing but still proved his worth. In his second outing to Zimbabwe, 15 year-old had added 97 runs in 6 innings with an average of 24.25 with one man of the match performance against Hong Kong in must-win match for his nation. He came out to bat when team was 5-61 in 18th over and scored unbeaten 48 runs off 86 balls to chase down 154 runs target. Combining this two tourney, he added 237 runs in his tally in 12 innings with batting only twice after 35 over. So, after such impressive show by very young batsman, he was dropped from Nepal squad for a farewell match of Shakti Gauchan in Nepal’s first match of Netherlands tour. He was retained after a match then he produced 6 runs, 0 runs and 9 runs innings. Then, he was left out for Nepal’s starting XI for Nepal’s rest of Asia Cup Qualifier matches. Nepal’s senior players always get excuse for not getting proper infrastructure but why so unfair with this 15 year-old Paudel? Lohani, known for his ability to play 360 degree shots, was subsequently selected for 2015 ICC World Twenty20 Qualifier. Despite of poor performance from all the players, he was not given chance till Nepal’s last match. When he got chance against Jersey, he didn’t let it go. He scored 27 runs off 16 balls including 2 fours and 2 sixes with a very popular helicopter shot, before getting run out. If you heard Nepal skipper’s post match presentation interview after match against Jersey then you could sense that, he didn’t praise Lohani’s innings. These things sound small but it means a lot for young player who was playing his first ever international match. On 19th October of 2016, he smashed 127 runs off 45 balls in Nepal domestic match against Birendranagar Cricket Club with 12 sixes and 8 fours. After such heroic performance in his first ever international match, he never get picked in Nepal’s squad. Nepal is preserving him as T20 player but realistically, not sure whether Nepal is preserving or destroying? Lohani’s innings against Jersey written 3 years ago by our then representative Ayush Gautam. 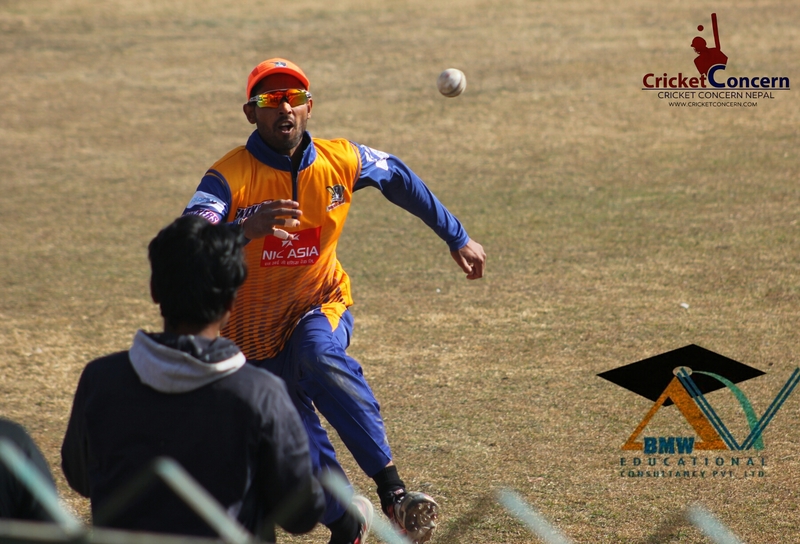 Sah performed consistently in age level cricket and his strong performance in last edition of Everest Premier League helped him to find place in Nepal’s squad for ICC World Cricket League Division II. He played his first match against Kenya. He scored 0 run off 1 ball in his debut match. Then he was dropped in very next match for rest of the tourney. He was with Nepal Cricket Team in Zimbabwe as well, during ICC World Cup Qualifier 2018. He was picked in the starting XI in 3rd match against tournament’s champion, Afghanistan. He played against Hong Kong, PNG, Netherlands consecutively and scored 26,9,8,21 respectively. He scored mammoth century in one of practice match on England. His role in the side is still undefined. Sometimes the management asked him to play at 3, sometimes he opens the innings. Sometimes he played as wicket keeper and sometimes as a batsmen. He was dropped in first two match of Asia Cup Qualifier and called back against Malaysia. He scored 16 runs against host Malaysia and 43 runs against Singapore. He added 15 runs against Hong Kong, when Nepal bundled out on 95 runs. Now, he had played regular 3 matches and let’s hope team management will give him some times to establish himself in team and let’s hope he will get his defined role in the side. They are just some fresh examples. Nepal cricket team trend to excuse senior players has hampered some other young players too. Sunil Dhamala is just limited to age level and domestic circuit till now. 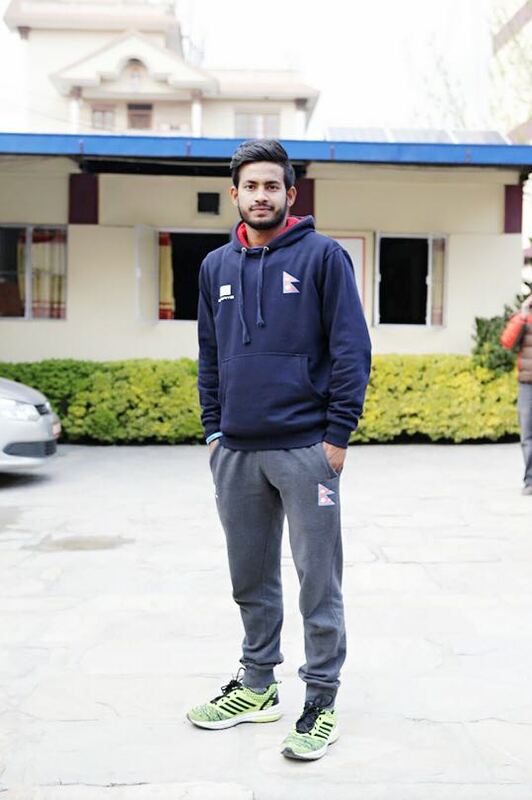 Aarif Sheikh had played his debut match for Nepal against Hong Kong in 2014. He didn’t bat in that match but picked 2 vital wickets of then Hong Kong’s skipper Atkinson and Hayat. In his second match against Afghanistan, he sent back both of Afghanistan’s openers. He came to crease at no.7 during 13th over when team was 5 down, scoring 51 runs. He got out quickly scoring just a run. Then, he was dropped from the side. He was again picked against Bermuda where he didn’t get chance to either bowl or bat. Again, he was dropped against Singapore. Again picked back against USA in very next match, where he didn’t get chance to either bowl or bat. He played consecutively against Malaysia but story remained same as he didn’t get chance to either bowl or bat. In very next match, he came out to bat and produced 8 runs innings. He didn’t get chance to roll his arm in that match as well. He was with team during ICC World Cricket League Division II but got dropped from starting XI for first 3 matches. He was picked back against Namibia where he scored 1 run. He was dropped in very next match and called back against Kenya where he scored 5 runs. His bowling was unused in both of that matches. He was part of Nepal’s squad for ICC World Cricket League Championship. He got dropped for first 8 matches in that period. He was brought back against Hong Kong where he scored 23 runs out of team’s 111 runs. He was second highest scorer after Paras Khadka’s 26 runs. He even bowled and retained figure of 2-0-8-0. After then, he played regular matches for Nepal Cricket and result is in front of you. He is performing and scoring runs for Nepal. He scored 125 runs in recently concluded Asia Cup Qualifier with an average of 41.66. He had already scored 346 runs this year in 19 innings. He scored 97 runs in ICC World Cricket League Division II’s 6 innings, 108 runs in ICC World Cup Qualifier’s 6 innings and 125 runs in Asia Cup Qualifier’s 5 innings. His graph has just one way and that’s upward. So with continuous matches and defined role, youngsters will gain confidence and started performing for their nation. Nepal should started investing matches exposure to youngsters like they are doing with aged players. Let past and legacy to remain past and legacy itself. Nepal need someone who is 100% fit, fresh and performing. Previous articleNepal Won by 4 wickets against Singapore.